In this guide will cover how to set scheduled events to make managing your game server easier and less time consuming. Select the game server you wish to make a scheduled task for in the Game Services area. 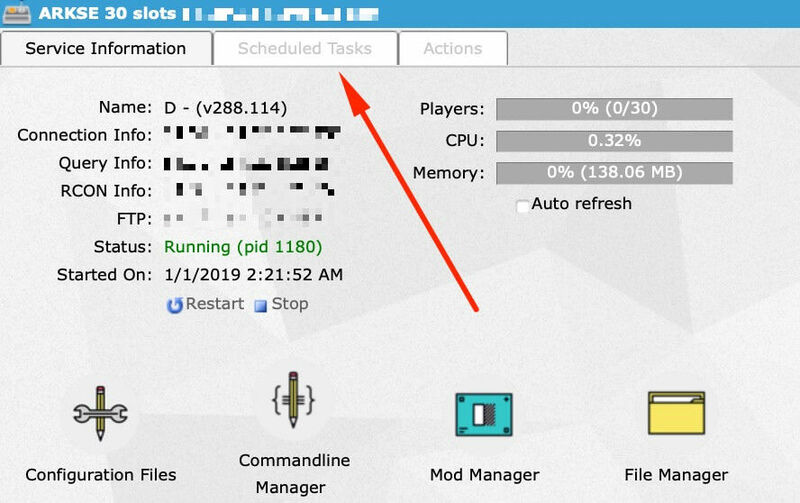 Once on the main dashboard for the game server you want to set the task for, look for the tab indicated in the image below. Click on the Scheduled Tasks tab, then click on "New" to create a new task. You will see similar to the below image depending on the game server you have. Select the task you wish. In this guide I will show you the Steam Update scheduled task. The process for others will be similar, but differ somewhat. Once you have selected your task, click "New" just below the drop down menu. 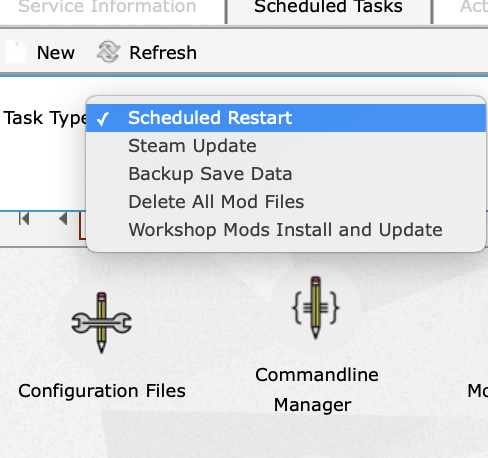 With the Steam update scheduled task and Auto Mod Management setup. You can have complete automatic updates for your game server. After clicking new, you&apos;ll see the options you can set for the task. Such as the time you wish for the task to start, and then the frequency it will repeat, so for every day at 1:10am, you&apos;d set the time to 1:10am, then have the frequency set to daily. 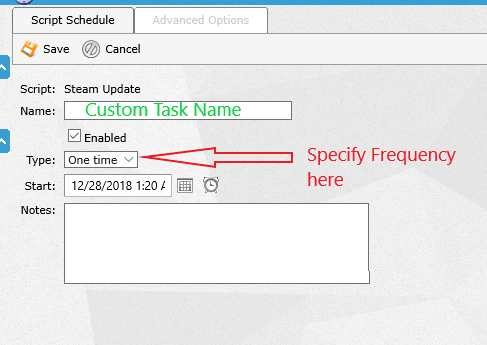 Still in the scheduled task configuration, click the Advanced Options tab. You&apos;ll then see the settings here to configure the server to only restart if an update is available, to wait until nobody is on the server, or force the update anyway.